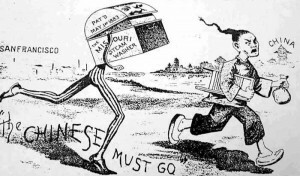 On this day, August 3, 1882, Congress passes the first law restricting immigration. What are the real and pretended fears of immigration? This entry was posted in Uncategorized on August 9, 2016 by dsheridan.